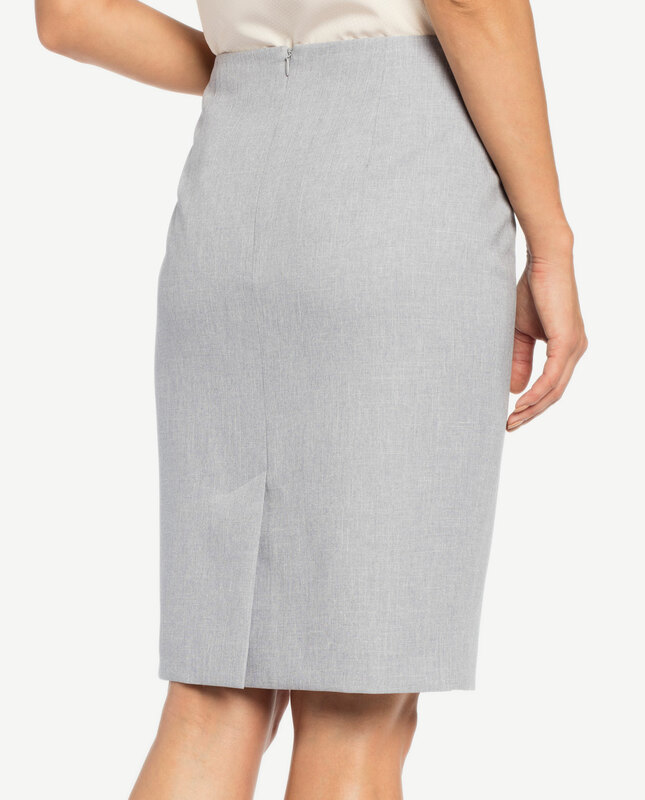 Elegant pencil grey skirt, a foundation piece for a number of looks This vintage garment will be a perfect match for classic jacket, relaxed top or fitted sweater, and will be appropriate for many different events. To work, pair it with a tight-fitted jacket and a smart blouse in subdued colours, and opt for a shirt and subtle jewellery for a more important event. Fastened with a zip at the back. Lined and comfortable to wear. A short slit drawing attention to your legs.